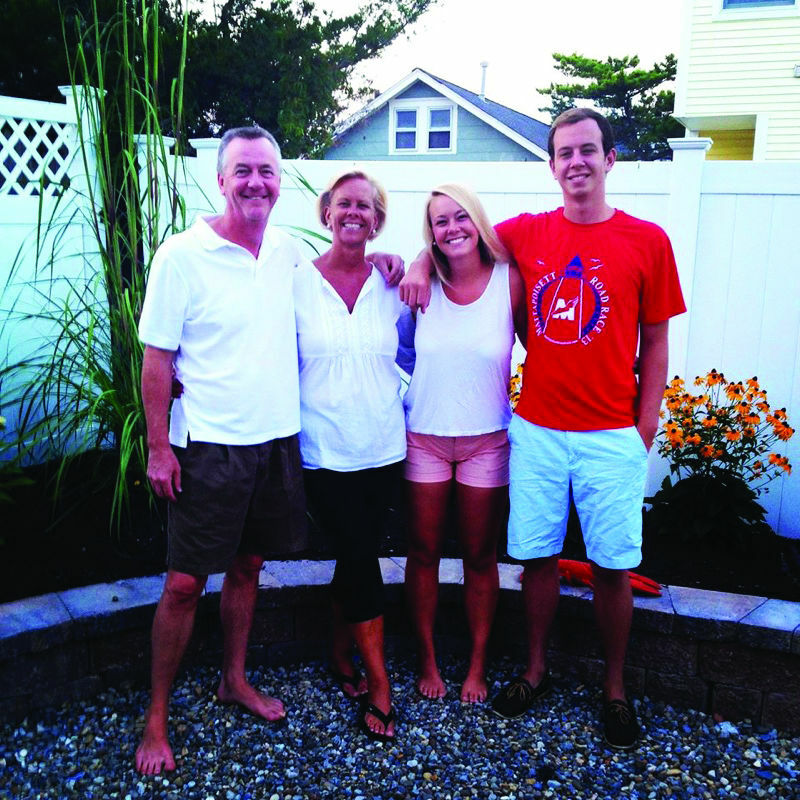 Emotions ran high Monday night as Lavallette officials considered whether to approve the acceptance of a borough family’s donation of new basketball courts in honor of their late son. Dave and Nancy Daly, of Reese Avenue, have said they will pay for a new basketball facility in town in honor of their son, George. George Daly, 20, died while away at college in 2015, according to a tribute article in the University of Pittsburgh’s student newspaper. An “avid” sports fan, George enjoyed playing baseball and basketball, the article said. The plan faced opposition from some members of the Lavallette community because the Daly family planned to place a sign at the site, recognizing that the two courts were built in George’s honor. The group of residents, some from the borough’s Beautification Committee, argued that the sign – scaled down to 3-feet by 4-feet – was too big and inconsistent with a policy that generally discouraged memorial signage in town. But the majority of residents who spoke at Monday’s meeting – as well as previous meeting where the issue was discussed – were in favor of the Dalys’ plan. The family has pledged to cover the entire cost of the construction of the courts, which will amount to about $170,000. 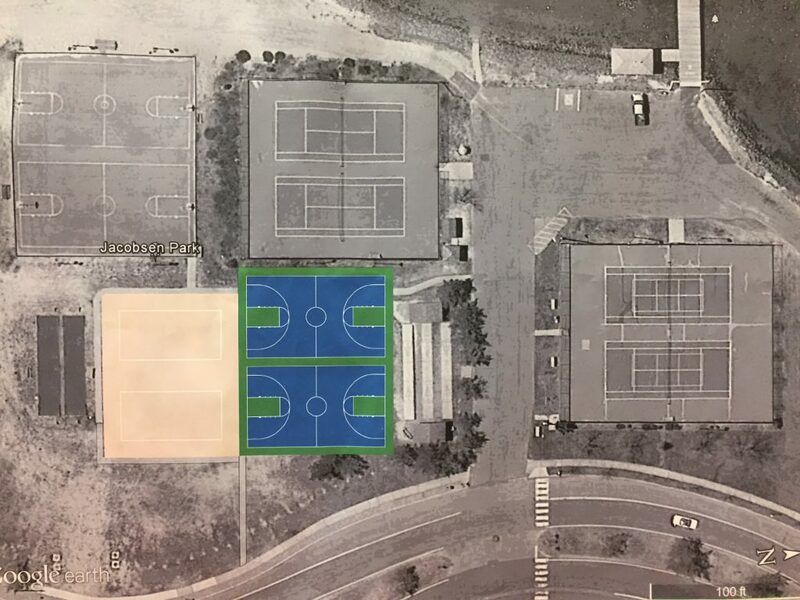 Under the plan being considered, two new basketball courts will be built on what is presently a vacant roller hockey rink. Beside the basketball courts will be two volleyball courts. The Daly family agreed to reduce the size of the memorial sign and add additional walkways, as was requested by some residents. “We’ve been through numerous discussions and meetings on it, and I promised them we would put it up to a definitive yes or no vote today,” announced Mayor Walter LaCicero, before the discussion on the plan began. Though she ultimately voted in favor of the project, Councilwoman Joanne Filippone raised concerns that had been voiced by some who were unconvinced that the project should move forward. Mark Speaker, another resident, echoed the same sentiment. A larger number of residents voiced support. Sheila Porcelli, of Brooklyn Avenue, said the Daly family’s motivation was to not only remember their son, but improve their community. Lisa Storms, of Pershine Avenue, said she works in fundraising for a hospital and favored the family being recognized with a sign. The borough council voted 5-1 in favor of allowing the project to move forward, eliciting a round of applause from the audience at the council meeting. Councilman Michael Stogdill cast the lone dissenting vote.